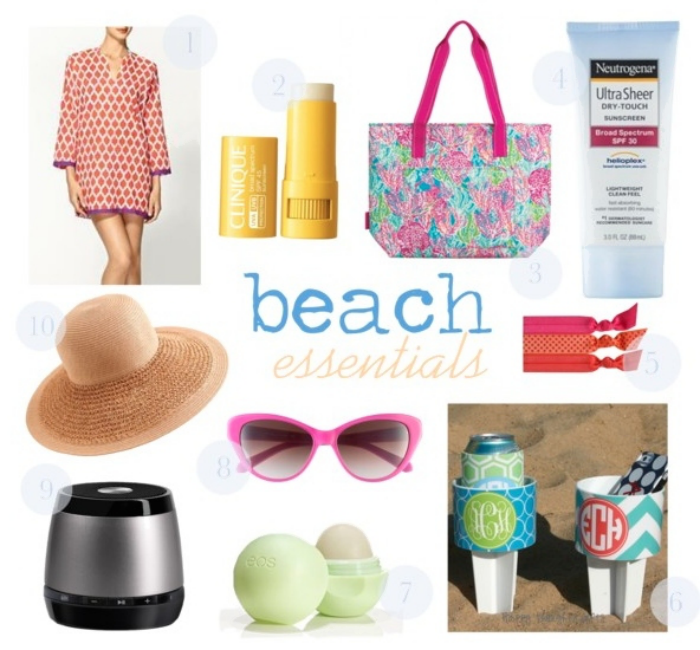 Beach Bag Essentials: Guest blogger Kristina from Medicine and Manicures! Hey y'all, I'm Kristina from Medicine and Manicures and I want to thank Taylor so much for having me for my first ever guest post (woohoo)!!! I'm a Charlotte girl who is currently living south of Raleigh, NC and going through this crazy adventure called PA school. I love all things Essie and OPI and you will rarely find me without some pretty polish on my nails. On my blog, you can find me writing about the latest OOTD, my PA happenings, and just life in general. Stop by and take a look! As the warm weather is approaching, there is one thing I'm looking forward to... beach season! Who's with me? Now that I live just 1.5 hours from Wilmington, I foresee many day trips in my future. That being said, I like to be prepared and stuff my beach bag with lots of goodies. 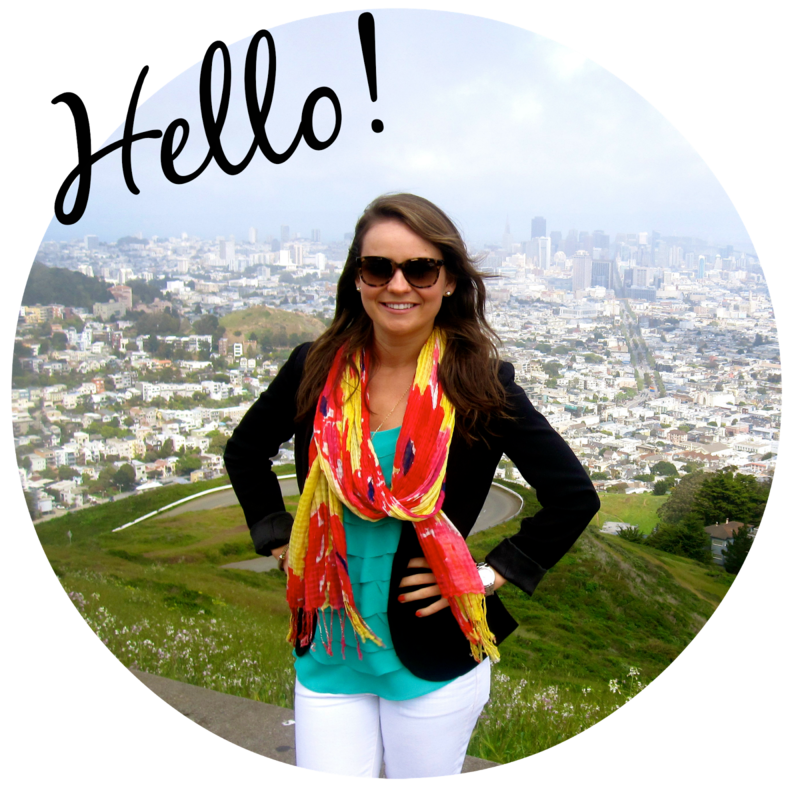 Here is my list of 10 must-haves for your sunny day getaway! Just so y'all know, you can click the items to get more info and shop! 1. Cover-up: Because it's easy and breezy. This one by Rebecca Roller Rabbit is my favorite because it has long sleeves (for those shoulders) and ultra lightweight material. Piperlime has them in all sorts of fun colors and patterns (and this one's on sale!). 2. Sunscreen for Face: My roommate Sarah introduced me to this Clinique sun stick and I LOVE it! It's perfect for the face without the mess of a lotion and has SPF 45. 3. Cooler: Whether you prefer a sturdy cooler with wheels or this cute Lilly Pulitzer tote, you gotta have something to store your drinks, sandwiches, and snacks. The pattern couldn't be more summery and it's only $32! 4. More Sunscreen: This one is a duh. I know we all want a nice tan in the summer, but don't go too crazy in the rays... Your (un-leathery) skin will thank you years later. Neutrogena is my favorite because it is very light with almost no scent (for those of you that don't like the ones that smell like coconut) and you can use it on your face as well. 5. Hair Ties: Love these summer-y ones from Emi-Jay. 6. Sand Spikers: My boyfriend Ryan got me a set for my birthday and I cannot wait to use them! The perfect little holding place for your fruity drink or phone (complete with monograms & pretty patterns). Find them on Etsy. 7. Lip Balm: Because no one wants sunburned, wind-chapped lips. Everyone loves Eos (there's just something about that weird egg shape) and it contains SPF 15. 8. Sunnies: You can't go to the beach without em! I want some colored shades and love these pink retro ones from Kate Spade. 9. Mini Speaker: While I love the sound of the ocean, I also like to have a jam sesh or two. This little Jam Plus speaker connects to bluetooth on your phone and comes at a price that won't break the bank. 10. Floppy Hat: Not only are you protecting your face and shoulders from the sun, but you're looking fabulous as well! J.Crew always has a bunch of cute ones in stock. 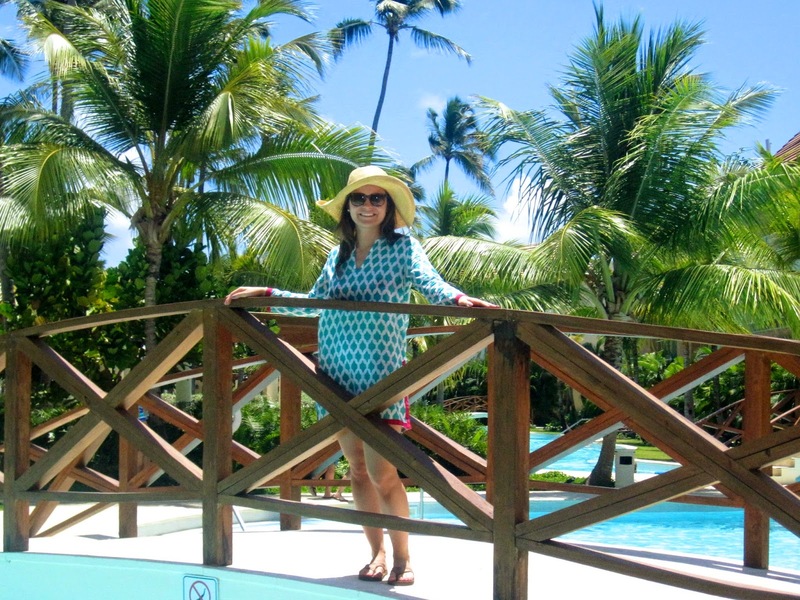 This is me in the Dominican Republic exactly one year ago… oh what I would give to be there right now!! Hopefully this post will get y'all excited for warmer weather and sunny beach days. Thanks for reading along and have a fabulous humpday! Even thoughhhh I don't leave near the beach I'm about to order a beach spike! They're just so cool! Make sure to go visit Kristina over at Medicine and Manicures or follow her on instgram or Pintrest!